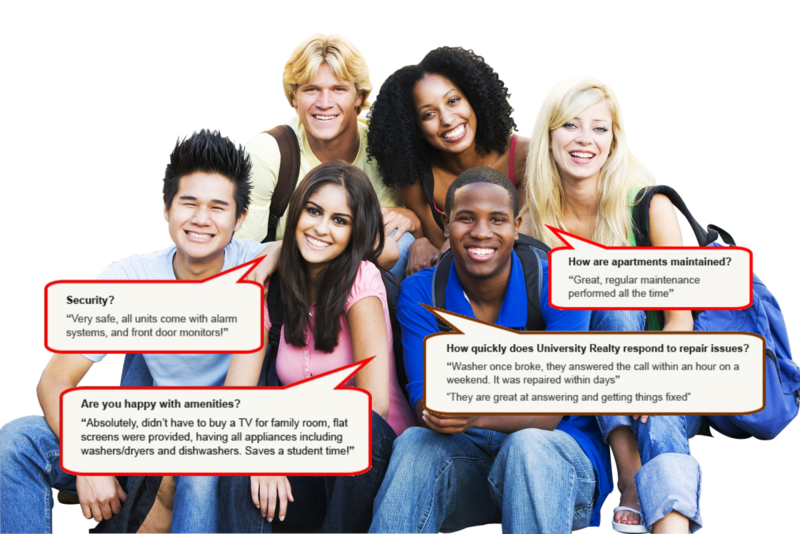 "University Realty strives for developing student housing on multiple levels. Our mission is to provide students with first class housing amenities in a safe and secure environment." amenities in a safe and secure environment." Luxury Apartments for Students and Professionals near Drexel University, University of Pennsylvania, University of the Sciences and The Children's Hospital of Philadelphia". Our buildings are modern, safe, secure, and offer a variety of amenities. at unbeatable locations near the Universities. equipped with individual alarms and front door monitors. and conveniences that students love the most. questions about the new apartment units.